Nvidia has refreshed their Quadro line-up today, introducing a new variant of the M6000 with double the VRAM capacity. The card is still based on a fully unlocked Maxwell GM200 GPU, but it's now available with 24 GB of frame buffer through the use of 8 GB GDDR5 chips. While the rest of the card's specifications are pretty much unchanged, the increase in VRAM is welcome news for industry professionals which require a heap of VRAM for intense rendering or animation workloads. It also allows Nvidia to offer a higher capacity card than their rival AMD, whose FirePro W9100 tops out at 16 GB. As far as specifications are concerned, the Quadro M6000 features a 28nm GM200 GPU with 3072 CUDA cores, 192 TUs, and 96 ROPs. It's clocked at up to 1140 MHz, with 24 GB of 6.6 Gbps GDDR5 on a 384-bit bus. With such a beefy GPU it's no surprise to see an accompanying TDP of 250W. The Quadro M6000 also ships with updated firmware that has more accurate control over GPU clock speeds and temperatures, primarily for those wanting to adjust these aspects manually. This new variant of the M6000 replaces the old 12 GB model at the same price point: $5,000. That's a lot to pay for a graphics card, but it is designed for workstations and professionals, which require the extra VRAM capacity and capabilities of a Quadro card. 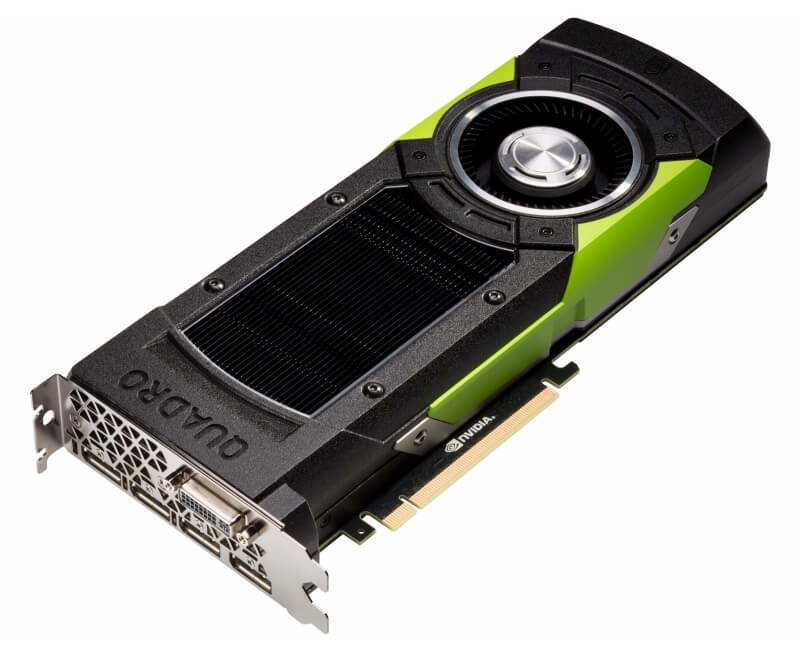 "Nvidia to offer a higher capacity card than their rival AMD"
Wrong. AMD has announced the FirePro S9107 last summer, which has 32 GB DDR5 on-board. And Quadro M6000 is a professional video card, not a server accelerator, like S9170. The top professional video card from AMD is FirePro W9100, with 16GB of RAM. So the article and nVidia statement are in fact both correct. davislane1, Adhmuz, Reehahs and 2 others like this. 24GB of RAM, still 317GB/sec bandwidth. I can't see a performance benefit for a professional system increasing the VRAM from 12GB to 24GB. The GPU can page through the 24GB memory pool only 13.2 times per second. But do they work in SLI? It has as much VRAM as I have system RAM, hot damn! This will totally get me that extra FPS in Crysis! When not serious post is not serious, not serious post is really not serious. And how much time would it save pushing 4K and 8K raw content from a disk into that video memory? Professional editing software knows how to do it, and very efficiently. All nVidia Quadro cards do. The cards looks very similar to a Titan X. I'm impressed with the amount of VRAM on it as well as the price: $5,000 dollars. That's one helluva pixel-pusher. It replaces the same card with 12GB, at the same price point, which started at $8,600 and now sells for $4,600. Ok that makes since. At least the price is down some; $8,600 is a lot of cash to give up. Any way you shake it, spending more for a graphic's card that the entire computer costs is a bit insane. Of course, for those that have more money than good common sense ..... go for it!